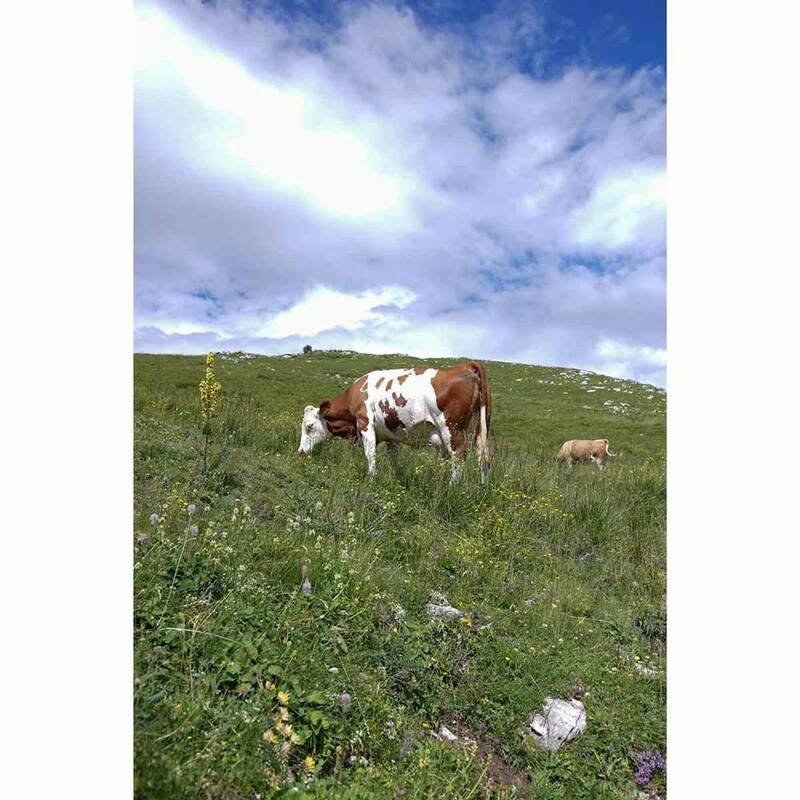 Caseificio Achille Snc di Dalla Valentina Ezio e C.
We are now just at the edge of the Prealpino Veronese mountain range and the story of the Dalla Valentina dairy is very much the story of the surrounding land. This is a magical place, inside the Lessinia Nature Park at nearly 1,100 m a.s.l., north of Verona and not far from the city centre. This beautiful region hosts many interesting sporting and cultural activities, including the Lessinia Film Festival, which is beginning to attract attention worldwide. 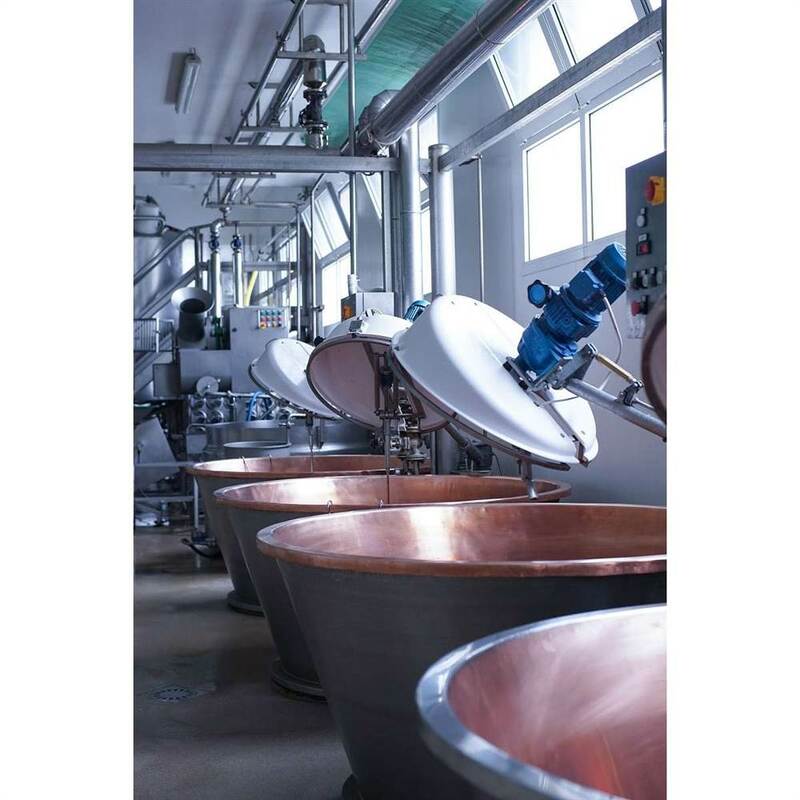 Officially started in 1957, Dalla Valentina actually began production as a family dairy between the ‘20s and the ‘30s when the brothers’ grandparents began making cheese in the building above the current structure. Rural homes used to make their own cheese here in Vele, as most families owned a few cows for their own milk and cheese production. Some 70 years later, the fourth generation - children and grandchildren of the Dalla Valentina brothers - is about to take over. 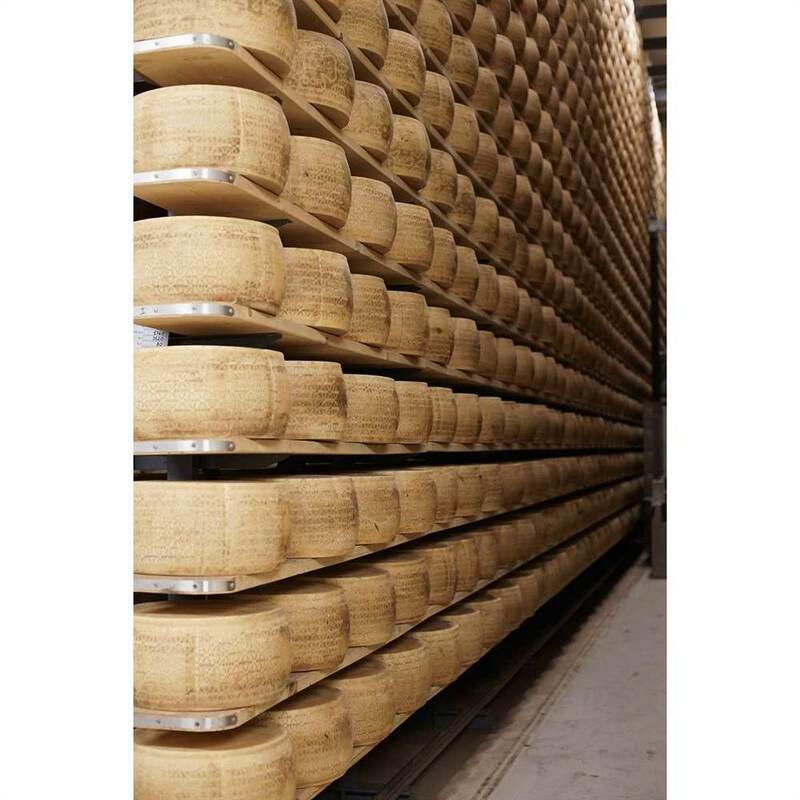 The Dalla Valentina plant works on the milk brought by 24 contributing members; each day, it produces 30 rounds of Grana Padano PDO cheese. All contributing members come from the Lessinia mountain range. 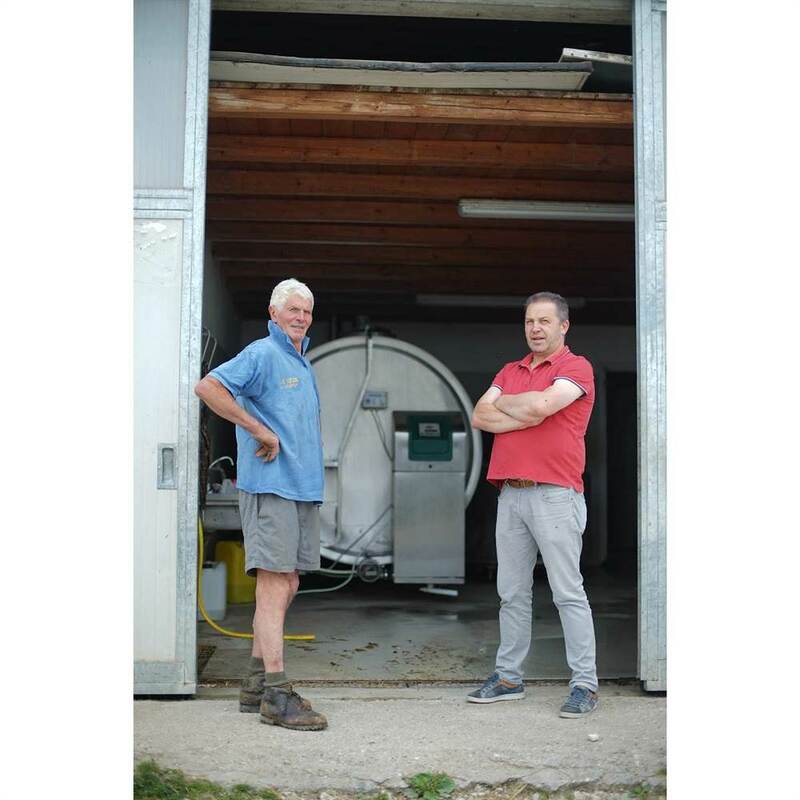 One of the dairy's key features is the seasonal cattle movement: in the summer the cattle moves up to over 1600 m a.s.l., usually from 1 June to 30 September. As foraging is influenced by temperature and by the amount of water in the wells, the cows’ welfare is monitored and guaranteed throughout the time spent at higher altitude. Farmers go up the mountain twice a day, to milk the cows and return them at night. Some of them still speak Cimbro, an ancient dialect derived from that of Southern Bavaria, which was spoken by settlers of the Lessinia mountain range in the lower Middle Ages. Matteo, a young employee who is also Ezio’s cousin, is happy to leave the city of Verona in the morning and come up here to work, where the view widens to reach the lake, and in the clearest days one can even see the Apennines. The only sounds you hear outside the dairy are the sounds of nature. Nearly 35 years of age, he returned after a year and half working as a volunteer for an NGO in South America. Marco, another employee, left Milan for family reasons to live and work here. 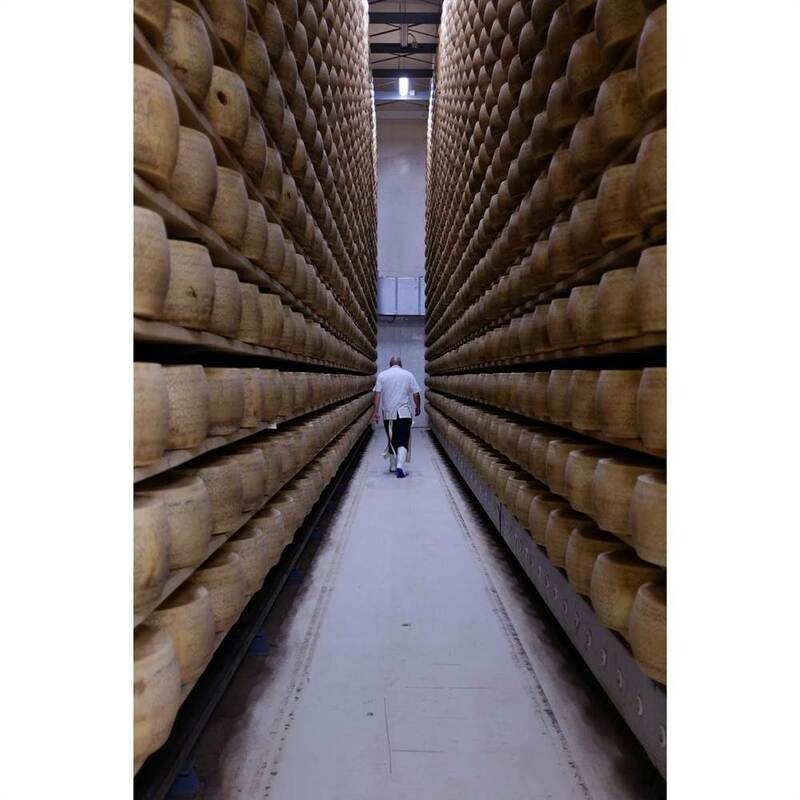 Ezio then introduces us to Giulio, the cheese maker, who has been working with him and sharing the secret recipe for perfect cheese for the last 23 years. 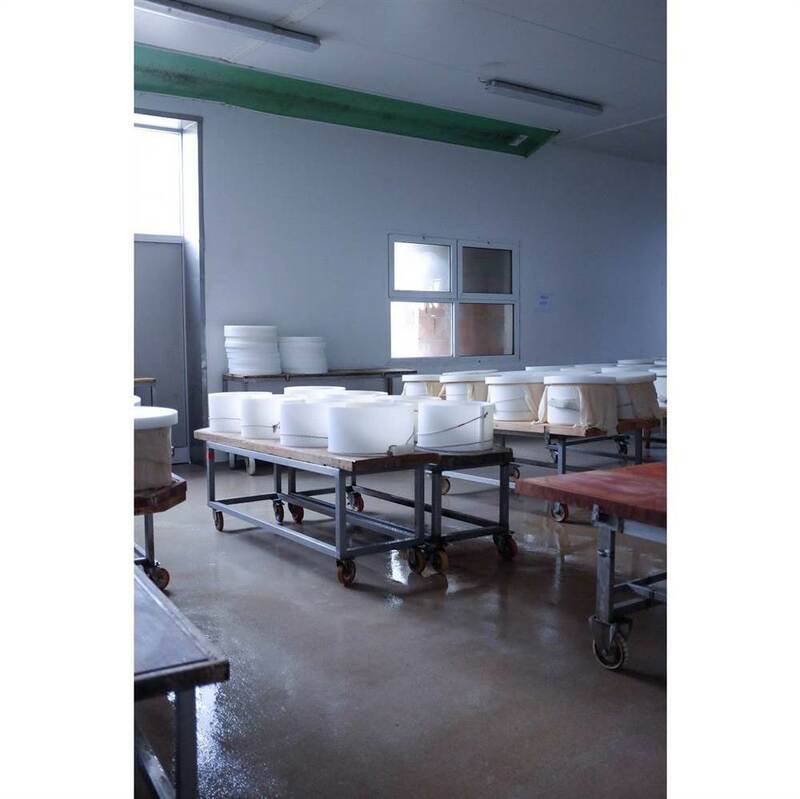 The Dalla Valentina dairy also produces Monte Veronese cheese, another PDO cheese. 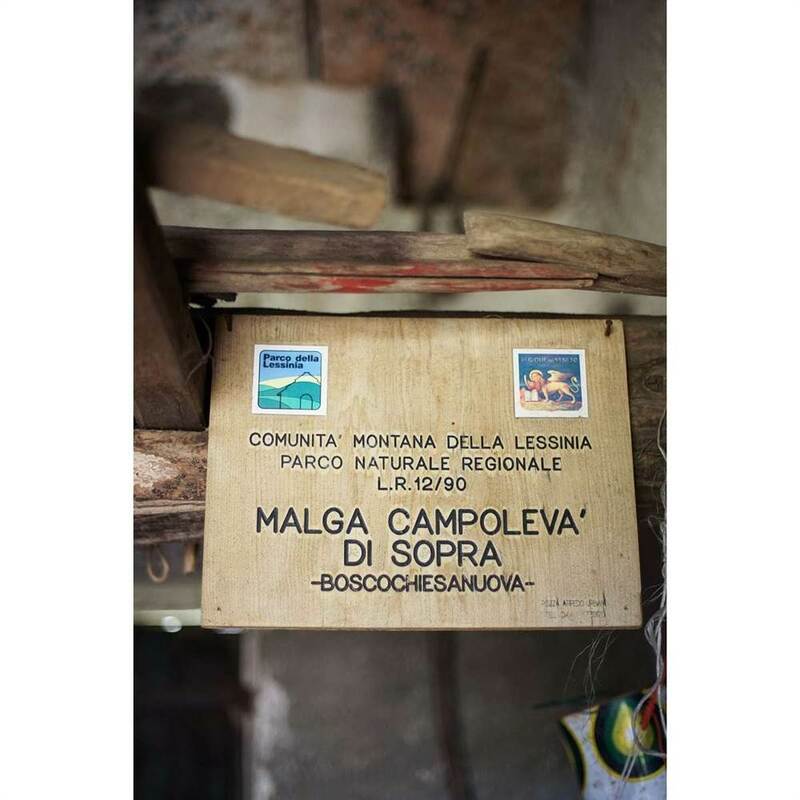 Both Grana Padano and this cheese share a great taste derived from the fresh water and air the cows enjoy, and from the range of flowers and grasses they eat. Indeed, the pastures here are full of dandelion and broom flowers whose yellow colour we find in the Monte Veronese cheese. 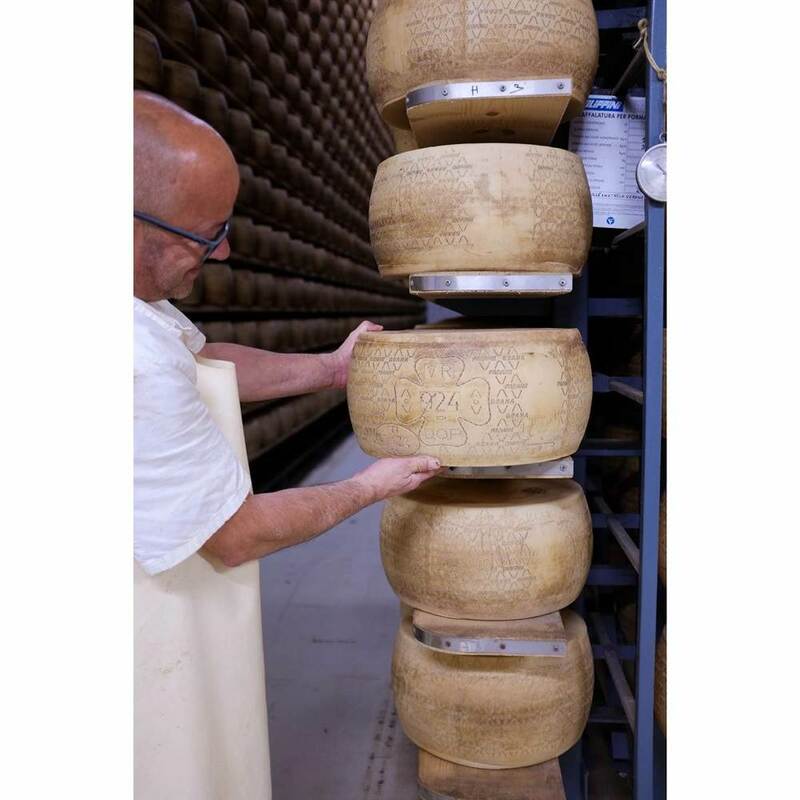 Dalla Valentina produces two variants of it, the rich and soft whole milk Monte Veronese PDO cheese, and the Monte Veronese d’Allevo cheese, harder and tastier. 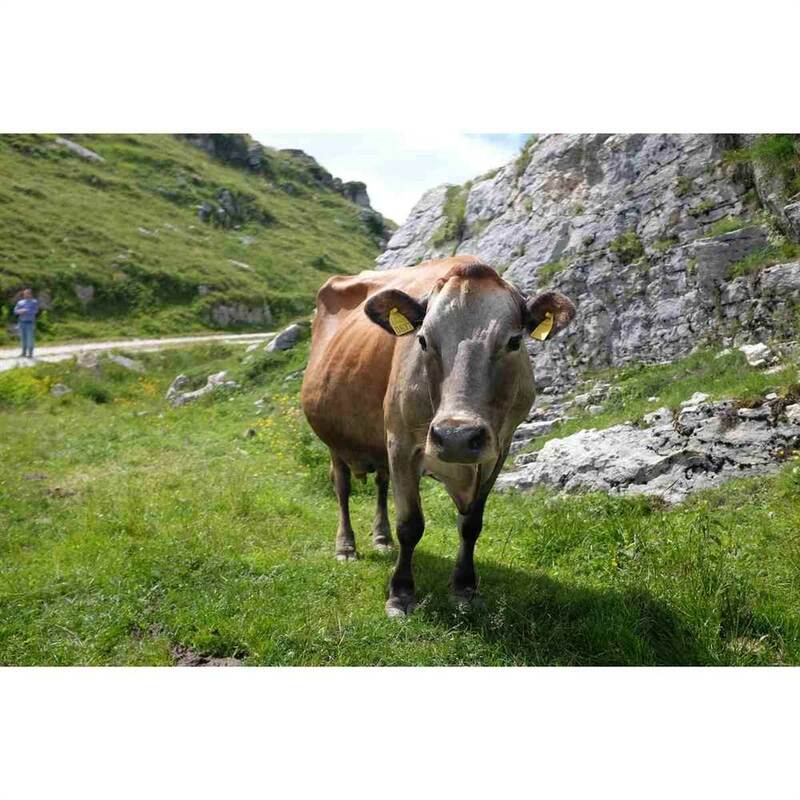 The Monte Veronese d’Allevo PDO cheese produced with alpine milk has won accolades in may local and regional contests and has been ‘awarded’ the Slowfood mark. 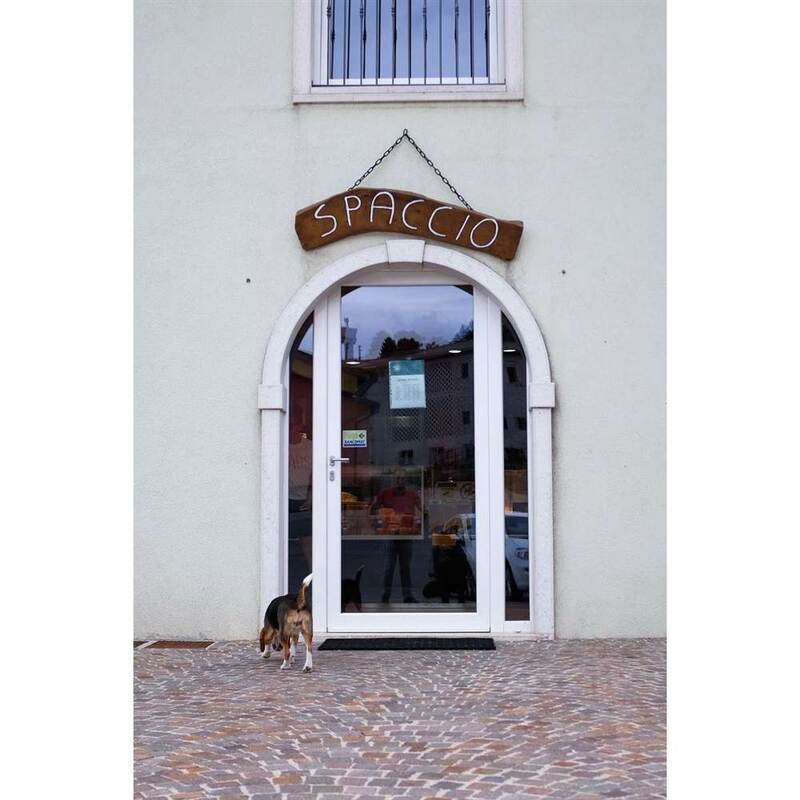 Finally, the point of sale is itself worth a visit, it offers a huge range of products, including the Grana Padano PDO, the Monte Veronese PDO and other typical local products, like alpine gnocchi, soppressa (local salami) and local wines.